in races with police unified against them . Races have a set beginning and end point , with the open world game design allowing players to complete each using whatever path they can find . Additional features of performance include a unique blend of Simulation and Arcade gameplay , social play options through the Autolog 2 feature , exciting multiplayer support , and a large selection of vehicles . 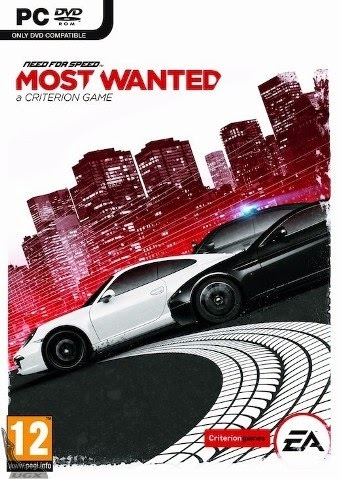 Elude the Cops , and Competitors in Open World Racing Play To be " Most Wanted , " players need to outrun the cops , out drive your friends , and outsmart your rivals . With a relentless police force gunning to take you down , you 'll need to make split second decisions . Use the open world to your advantage to find hiding spots , hit jumps and earn new vehicles to keep you one step ahead . In true Criterion Games fashion , your friends are at the heart of your experience . In an open world with no menus or lobbies , you 'll be able to instantly challenge your friends and prove your driving skill in a variety of seamless multiplayer events . Your rivals will do everything they can to stop you from getting to the top . In this world , only one thing is certain - there can only be one " Most Wanted "
Take to the streets and become the Most Wanted driver in Fairhaven City . 1 Response to "Need For Speed Most Wanted (Racing Game)"
gan knp pas ane jlanin "error code 80210000" mohon bantuanny???? ?